Billboard Canada released the year-end top 100 singles of 2018 which are listed below. The biggest song of the year in maple land is “Havana” by Cuba’s Camila Cabello, formerly with United States based R&B group Fifth Harmony. The top track by a Canadian artist is “God’s Plan” by Drake at #3. There are 15 entries with a Canadian as the main, co-main, or lone featured artist. Eight of these involve Drake. The Canadian Hot 100 is determined by a weighting system of radio airplay, online streaming, and purchased downloads. 65 No Brainer DJ Khaled Ft. Justin Bieber et al. 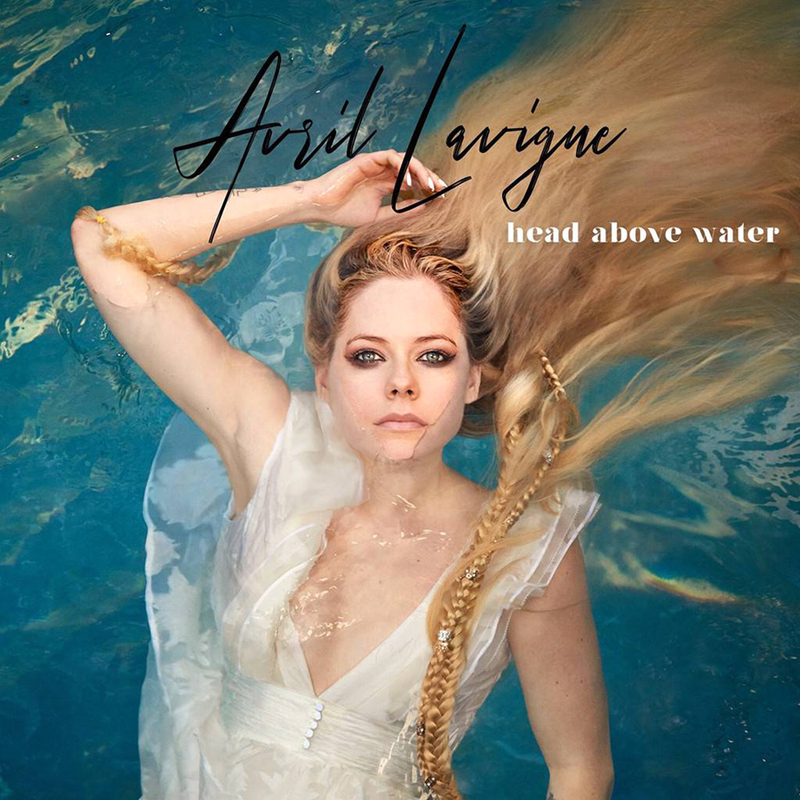 “Head Above Water”, the new single from Canadian singer Avril Lavigne, has topped the iTunes Worldwide Chart with #1 placements in a number of countries. This is the singer songwriter’s first single in three years, the last offering being “Fly” dedicated to the Special Olympics. Having battled Lyme disease, Lavigne has not been able to release a new album since her self-titled disc in 2013. That album spawned a number of hits including “Here’s to Never Growing Up” and “Let Me Go” featuring Nickelback frontman Chad Kroeger. “Head Above Water” follows along the course of piano driven power ballads like “Let Me Go” and “Fly” and lyrically focuses on her determination to survive the brutal effects of Lyme. For those who were longing for an Avril Lavigne comeback, all we can say is … boy, what a comeback! Avril Lavigne has received 13 Vevo Certified Awards and sold an estimated 90 million records worldwide. Marie-Mai is a platinum recording artist from Canada, one of the biggest names in the country when it comes to Franco pop and has been able to sell out Montreal’s Bell Centre with back-to-back shows. She launched her career as a finalist of the first season of the reality show Star Académie. During the closing ceremony of the 2010 Vancouver Winter Olympic Games, Marie-Mai performed “Emmène-moi”. Below is her latest music video, “Empire”. Enjoy. Below are the 10 biggest hits of 2017 in Canada according to the Billboard Canadian Hot 100 year-end chart. Britain’s Ed Sheeran takes the cake with “Shape of You”. The top song by a Canadian artist is “Starboy” by The Weeknd. 10. I’m the One by DJ Khaled Ft. Justin Bieber, Quavo, et al. Born and raised in Toronto, Canada, Henry Lau learned piano to level 10 and won the gold medal for violin from the Royal Conservatory of Music. He also studied various forms of dance. South Korea’s SM Entertainment held auditions in Toronto in 2006, and Henry was one of only two people of 3,000 chosen. Relocating to Korea, he became a member of popular singing group Super Junior-M. In addition to Mandarin Chinese and his native English, he became fluent in Korean. And now, with 3.3 million Twitter followers, he is championing the K-pop genre as a soloist. He is as talented as they come. Henry recently released new song “I’m Good”. We embed the MV below. Dutch DJ/producer Bakermat is best known for 2013’s “One Day” a huge hit across Europe. The track featured audio clips of speeches by U.S. activist Martin Luther King Jr. Bakermat dabbles in dance pop with his new single “Don’t Want You Back” which features Canadian singer Kiesza. The latter scored a #1 hit in the UK, Netherlands, and Belgium with “Hideaway”. The new track has quite a nice music video. We embed it below. Canada recently held its flagship music awards gala, the JUNOs. Of all the big Canadian names in music recently, The Weeknd, Drake, Justin Bieber, Shawn Mendes, and Alessia Cara, it was folk-pop group The Strumbellas who won the Single of the Year award for hit “Spirits”. The song charted internationally, most notably in a number of European nations. In Canada itself, it was certified platinum. The “Spirits” music video, filled with colourful costumes, has amassed an impressive 40 million views. We embed it below but be forewarned, it is so catchy it just might get stuck in your head. But maybe that’s a good thing. The Most Popular Canadian Song of 2016? The Billboard Canadian Hot 100 year-end chart for 2016 tells us that the most popular Canadian song as judged by Canadians themselves was “Sorry” by Justin Bieber. It came out at the end of 2015 and was the second single off his Purpose album, so most of its chart success was in 2016. An interesting note is that most Canadians pronounce sorry as rhyming with story as opposed to starry, but Justin opted for the less common pronunciation when singing the song. Justin Bieber is from Stratford, Ontario and relatively quickly became a global teen sensation in 2009. To date, he has sold an estimated 100 million records worldwide. The Biebs holds a number of records, one of which is that he became the first artist to surpass 10 billion total video views on Vevo. So … let’s watch the music video for “Sorry” below which has racked up over 2 billion views to date. After topping a number of charts around the globe with Major Lazer (thanks to “Cold Water”), Canada’s Justin Bieber joins forces with France’s DJ Snake on “Let Me Love You”. It is not the most original composition, a combination perhaps of “Stressed Out” by Twenty One Pilots and the former track by DJ Snake and Major Lazer, “Lean On”. “Let Me Love You” continues the proclivities of 2016 EDM to favour giddy-up beats. The track appears on DJ Snake’s just-released debut album Encore. He is fairly new at the game first releasing music in 2013 and his real name is William Sami Etienne Grigahcine. Justin Bieber has become a highly sought after vocalist especially for electronic dance music makers. Arguably, his preferred singing style is more in the vein of R&B than pop, warbling over the melody (if there is one) rather than carrying the melody. The Biebs burst onto the scene as a teen star releasing his first single “One Time” in 2009. He has sold an estimated 100 million records worldwide and has to date scored more than forty Top 40 hits in his home country both as the main and as a featured artist. Originally from Harbin, China, singer-songwriter Wanting Qu (female soloist) has been based in Vancouver, Canada since age 16. Both Canadian networks CBC and CTV have televised documentary features on her. Wanting hit the music scene as a breath of fresh air, for in the midst of a western music industry that stands largely as a Blacks and Whites only club, she became in 2009 the first Chinese artist to be signed to the Nettwerk label (Sarah McLachlan, Delerium, Chromeo). As the city of Vancouver is roughly 30% ethnically Chinese with about 20% through the metropolitan area, such a recruitment was long overdue. It came with recognition of a songwriter that had an extraordinary gift. Wanting’s songs are just beautiful. Terry McBride was the man who awakened to this reality and took it upon himself to manage her. In the west, Wanting’s music is being absorbed gradually, while in her native country, she became an overnight superstar. Her debut album, Everything In the World, achieved platinum sales within its first week of release largely owing to her multiple award winning song “You Exist in My Song”. Wanting’s first two albums were bilingual releases with songs in English and in Chinese. While the media likes to consult the grapevine in writing about her for a couple of reasons, it is her music that we find the most worthy of attention because it is so good. Wanting is working on her third studio album and recently released two brand new tracks, the English “Your Girl” which is sweet and fun, and the Chinese “Best Plan” which is powerful and uplifting. We embed them below to whet your appetites. Mourning the loss of her husband and manager René Angélil plus her brother Daniel, Céline Dion is returning to the spotlight. We got a glimpse of the Canadian superstar November 22, 2015, when she brought the world to tears in her touching performance of Edith Piaf’s “Hymne à L’Amour” at the American Music Awards in honour of the victims of the terrorist attacks in Paris. Céline will be releasing new single, “Encore Un Soir” on May 24, 2016, which will appear on her upcoming 26th studio album. Dion has already gifted the world with a cover of Queen’s “The Show Must Go On” which features electronic violin sensation Lindsey Stirling. It is available at iTunes as of May 20. She will perform this song with Lindsey at the Billboard Music Awards on May 22 where she will be honoured with the ICON Award. With the launch of new music, Dion will be hitting the tour circuit. She wraps up her Las Vegas shows June 4 and plays two in Antwerp, Belgium June 20-21 at the Sportpaleis. From June 24 – July 9, she plays nine shows in Paris at the AccorHotels Arena. From there she proceeds to Montréal’s Centre Bell for 10 concerts from July 31 – August 17 and five shows at Québec City’s Centre Vidéotron (August 20-27). She caps things off with a one-night performance August 30 at Amphithéâtre Cogeco in good old Trois-Rivières. She then returns to her Las Vegas residency starting September 20. Céline Dion is the best-selling Canadian recording artist of all-time. It is estimated that she has sold in excess of 200 million records worldwide. Sometimes artists get discovered first by a country outside of their own. For example, the UK discovered Canada’s Kiesza first via “Hideaway”. Toronto’s MAGIC! broke through down under before the rest of the world with smash hit “Rude”. A little known fact is that MAGIC! became the first Canadian band to top the UK singles chart (many Canuck soloists have done so). With its debut album, the reggae fusion group scored a total of four Top 40 hits in its own country and has now dropped a new single as it prepares release of album #2. MAGIC!’s “Lay You Down Easy” features an artist from the birthplace of reggae—Jamaica. Sean Paul adds his vocals on it. His album Dutty Rock was a triple platinum seller in Canada. Lead singer Nasri Atweh has written songs with Grammy-winning production team The Messengers, a project that began prior to the formation of MAGIC!. The Messengers have penned songs for a slew of A-listers including Justin Bieber, David Guetta, Shakira, Cody Simpson, Jason Derulo, Akon, Pitbull, Christina Aguilera, Iggy Azalea, and Michael Bolton. Have a listen to MAGIC!’s new song “Lay You Down Easy” featuring Sean Paul. Shawn Hook is a Canadian recording artist who also happens to be in the Guinness Book of World Records for standing the longest time on an exercise ball: 3 hours, 16 minutes and 16 seconds! Musically, he released debut album Cosmonaut and the Girl in 2012 through EMI. That album placed a couple tracks on the Billboard Canadian Hot 100. When EMI got absorbed by Universal, Shawn found himself with a new team who … hooked … him up with new co-writers including Grammy award winner Victoria Horn. Single “Million Ways” generated a lot of buzz with its scaling up to #44 on the aforementioned chart. His followup single “Sound of Your Heart” however, saw his big breakthrough. It went platinum in Canada attracting the attention of Hollywood Records in the United States which helped the song recently top the U.S. Billboard Dance Club Songs chart. Shawn will be appearing on American chat show Jimmy Kimmel tonight hoping to reach more ears with his infectious song which is now included on his second album, Analog Love. Check out the MV below.